Kick off your visit on the 4th (Mon): pause for some photo ops at Swissair Flight 111 Memorial. 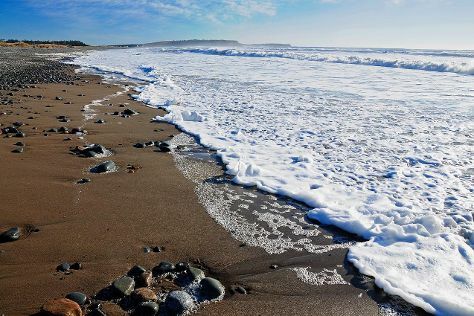 Here are some ideas for day two: kick back and relax at Crystal Crescent Beach Provincial Park and then kick back and relax at Lawrencetown Beach. To find photos and other tourist information, read Halifax holiday planner. New York City, USA to Halifax is an approximately 6-hour flight. You can also drive. The time zone difference moving from Eastern Standard Time to Atlantic Standard Time is 1 hour. In September, Halifax is little chillier than New York City - with highs of 67°F and lows of 56°F. Cap off your sightseeing on the 7th (Thu) early enough to travel to York. York is a town in York County, Maine, United States, near the southern tip of the state. Kick off your visit on the 7th (Thu): identify plant and animal life at Wells Reserve at Laudholm. Get ready for a full day of sightseeing on the 8th (Fri): look for gifts at Stonewall Kitchen, kick back and relax at Footbridge Beach, and then kick back and relax at Short Sands Beach. To find reviews, more things to do, where to stay, and more tourist information, read York itinerary maker. Use the Route module to find suitable travel options from Halifax to York. The time zone difference when traveling from Halifax to York is minus 1 hour. While traveling from Halifax, expect somewhat warmer days and about the same nights in York, ranging from highs of 73°F to lows of 54°F. Finish your sightseeing early on the 9th (Sat) so you can drive to Boothbay Harbor. Boothbay Harbor is a town in Lincoln County, Maine, United States. Step out of the city life by going to Reid State Park and Popham Beach State Park. Discover out-of-the-way places like Cabbage Island and Boothbay Region Land Trust. Get out of town with these interesting Boothbay Harbor side-trips: Maine Maritime Museum (in Bath) and Fort Williams Park (in Cape Elizabeth). For traveler tips, maps, more things to do, and other tourist information, refer to the Boothbay Harbor travel itinerary creator. Getting from York to Boothbay Harbor by car takes about 2 hours. Other options: do a combination of taxi and train; or do a combination of taxi and bus. Traveling from York in September, Boothbay Harbor is slightly colder at night with lows of 49°F. Finish up your sightseeing early on the 13th (Wed) so you can go by car to Bar Harbor. Bar Harbor is a town on Mount Desert Island in Hancock County, Maine, United States. You'll explore the less-touristy side of things at Precipice Trail and Frenchman Bay. Get in touch with nature at Bubble Rock and Beehive Trail. Step out of Bar Harbor to go to Bass Harbor and see Bass Harbor Head Lighthouse, which is approximately 34 minutes away. And it doesn't end there: tour the pleasant surroundings at Gorham Mountain Trail, take in the architecture and atmosphere at St Saviour's Episcopal Church, tee off at Pirate's Cove Adventure Golf, and explore the landscape on two wheels at Carriage Roads. To see maps, photos, traveler tips, and more tourist information, you can read our Bar Harbor itinerary builder. Drive from Boothbay Harbor to Bar Harbor in 3 hours. Alternatively, you can do a combination of taxi and bus. In September in Bar Harbor, expect temperatures between 69°F during the day and 51°F at night. Wrap up your sightseeing on the 16th (Sat) early enough to travel back home.